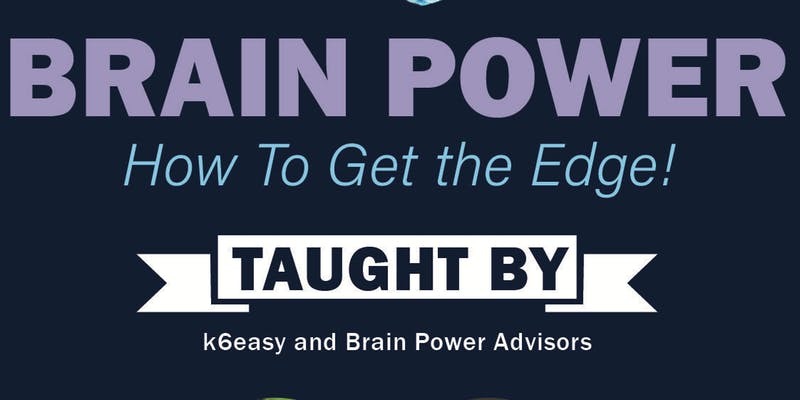 Brain Power- How to Get the Edge! The Research Triangle Park > Events > The Frontier > Brain Power- How to Get the Edge! Are you interested in enhancing the power of your brain? We believe that everyone is capable of more than they realize. Join us Friday, February 22 from 11:30 - 12:30 as k6easy's Educational Consultant, Pam Goodman, and Brain Power Advisors Neuropsychologist and founder, Dr. Karen Pollard share techniques and strategies on how to use 100% of your brain's processing power to increase performance and reduce stress. Come see how you can get your Brain Power to work for you! This event will be held in the Classroom in building 800. This is a FREE event with lunch provided by Jimmy Johns.